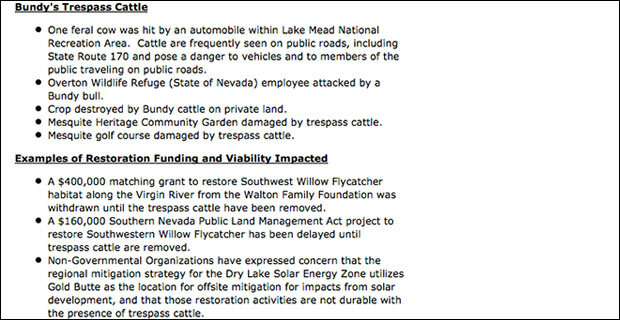 Off-site mitigation “consists of compensating for resource impacts by replacing or providing substitute resources or habitat at a different location,” according to a BLM Frequently Asked Questions page on “Regional Mitigation Strategies and Landscape Assessment.” In other words, even if a solar farm is never built on the land Bundy has rights to, the BLM still wants him off of the land in order to use it as “compensation” for public land that will be used for solar farms in other areas. 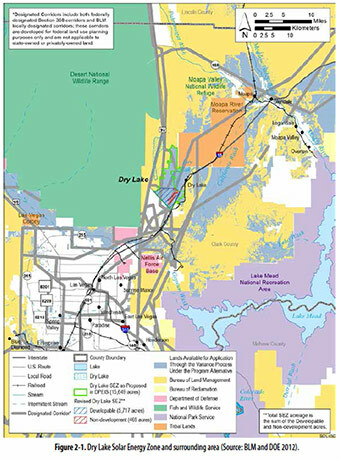 Another BLM report entitled “Regional Mitigation Strategy for the Dry Lake Solar Energy Zone” (BLM Technical Note 444) reveals that Bundy’s land in question is within the “Dry Lake Solar Energy Zone and surrounding area” which is part of a broad U.S. Department of Energy program for “Solar Energy Development in Six Southwestern States” on land “managed” by BLM. The second segment of the document pulled by the feds from BLM.gov. 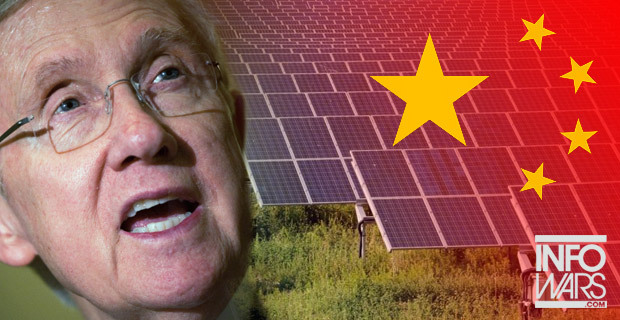 Back in 2012, the New American reported that Harry Reid’s son, Rory Reid, was the chief representative for a Chinese energy firm planning to build a $5-billion solar plant on public land in Laughlin, Nevada. Update: The Drudge Report, the #1 news aggregate site in the world, has now picked up this story. 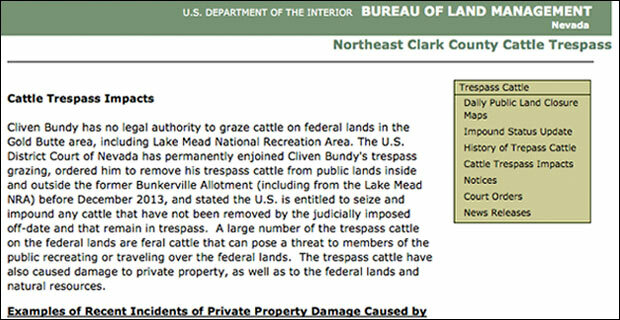 Unfortunately for the BLM, the documents they wanted to delete are now exposed for the world to see. Update #2: ENN Energy Group describes itself as a “privately-owned clean energy distributor in China.” However, as the People’s Republic of China is a single-party state governed by the Communist Party, all large companies in China, one way or the other, are either controlled or are heavily influenced by the Chinese government.